Delicious, Rare, and make you Rich! These organic lentils are precious gems of wholesome goodness! They’re grown on Umbria’s Colfiorito Plateau by the Cappelletti family, and are truly unique with incredible texture and flavor. 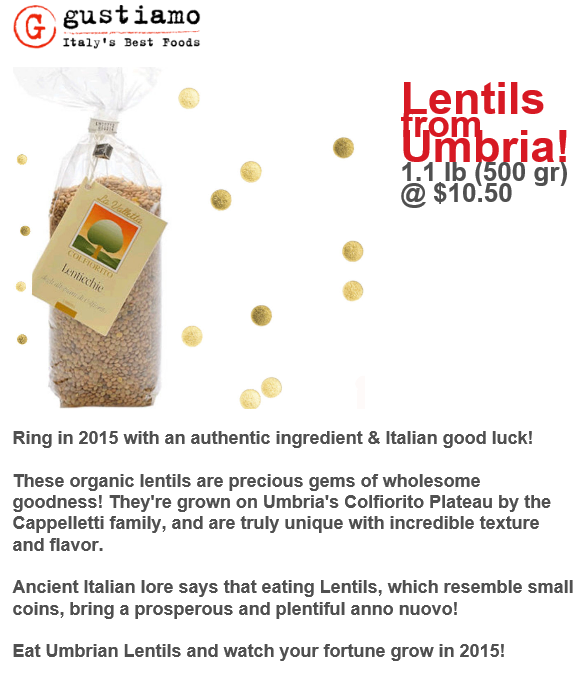 Ancient Italian lore says that eating Lentils, which resemble small coins, bring a prosperous and plentiful anno nuovo!